With a stay at Hôtel de l'Esterel in Saint-Raphael (Agay), you'll be a 4-minute drive from Île d'Or and 7 minutes from Esterel Massif. 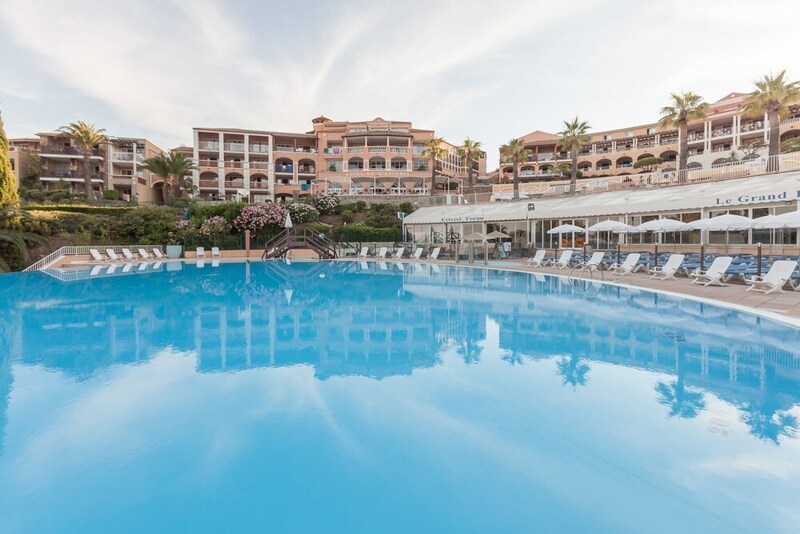 This golf hotel is 5.9 mi (9.5 km) from Frejus Beach and 6 mi (9.7 km) from Saint-Raphael Beach. Make yourself at home in one of the 64 air-conditioned rooms featuring minibars. Rooms have private furnished balconies or patios. Complimentary wireless Internet access is available to keep you connected. Bathrooms have showers and complimentary toiletries. Treat yourself with body treatments and facials. After practicing your swing on the golf course, you can enjoy other recreational amenities including a nightclub and a complimentary water park. Additional amenities at this hotel include complimentary wireless Internet access, babysitting/childcare (surcharge), and an arcade/game room. The complimentary beach shuttle makes getting to the surf and sand a breeze. Satisfy your appetite for lunch or dinner at Jardin de l Esterel, a restaurant which specializes in French cuisine, or stay in and take advantage of the room service (during limited hours). Quench your thirst with your favorite drink at the bar/lounge. Buffet breakfasts are available daily from 7:30 AM to 10:30 AM for a fee. Featured amenities include a 24-hour front desk, multilingual staff, and laundry facilities. Planning an event in Saint-Raphael? This hotel features 4175 square feet (388 square meters) of event facilities. Self parking (subject to charges) is available onsite.